Dr. Nick Oberheiden is a federal defense attorney that assists clients in federal criminal investigations, public corruption cases, government audits, and Grand Jury & OIG investigations. Nick defends individual and corporate clients accused of federal offenses such as public corruption, bribery, health care fraud, conspiracy charges, mail and wire fraud, securities fraud, money laundering, tax fraud, federal drug charges, and crimes involving computers. You have a choice when it comes to selecting the right lawyer for your case. I am honored you are considering me to help you with your important matter. My prime objective is to treat all actual, former, and prospective clients fair and with dignity. This respect explicitly extends to law enforcement and opposing parties. I strongly believe that zealous advocacy and ethics are not mutually exclusive. Your Expectations. I don’t care what brings you to me, or what you may have done wrong. I don’t judge. I offer my help. I have represented people from all walks of life, people with diverse and foreign backgrounds, companies (big and small), and many good people — including current federal prosecutors, federal agents, and police officers. Everyone can make a mistake. Unfortunately, I cannot help everyone at any point. Our firm has to reject about 20 – 30 cases per week. If you turn out to be one of them, I sincerely apologize. If you do become our client, I promise, I will be diligent, accessible, and responsive. My Expectations. My main expectations are twofold. First, I expect you to be truthful. My representation is conditioned on your obligation to completely, truthfully, timely, and accurately disclose all facts relevant and pertinent to the case. If a client misrepresents material facts to me, I will withdraw. See United States v. Johnson, 2008 WL 2060597 (E.D.Va. May 15, 2008) and Qualcomm, Inc. v. Broadcom Corp., 2008 WL 66932 (S.D.Cal. Jan 7, 2008). Second, I expect you to follow my instructions and the law. I have a zero tolerance policy for attempts of obstruction of justice (e.g. deletion or holding back evidence) or money laundering (e.g. hiding assets from the government), to name only two examples. Sounds good to you? Great, give me a call today and let’s explore how we can work together. Nick has successfully resolved cases before all major federal departments and agencies, including but not limited to the Department of Defense (DOD), the Department of Justice (DOJ), the Department of Health and Human Services (HHS), the Department of Labor (DOL), the Department of Homeland Security (DHS), the Federal Aviation Administration (FAA), the Federal Bureau of Investigation (FBI), the Drug Enforcement Administration (DEA), the U.S. Postal Inspection Service (USPI), the Internal Revenue Service (IRS), and the Office of Inspector General (OIG). Nick is a member of the New York and Washington D.C. state bars. Health care fraud investigations are a significant focus of Nick’s practice. He has successfully represented individual and corporate clients, business owners, hospitals, laboratories, pharmacies, medical doctors, and health care executives in civil and criminal Qui Tam, False Claims Act, Medicare Fraud, Medicaid Fraud, Tricare Fraud, Anti-Kickback, and Stark Law proceedings across the United States. Nick is the author of several widely published books, articles, and legal blogs. His internationally acclaimed Ph.D. thesis, an empirical analysis of the workings of the U.S., the Brazilian, and the German Supreme Court, was added, among others, by U.S. Supreme Court Justice Stephen G. Breyer and the Chief Justice of the Brazil. Nick has taught U.S. constitutional law, strategies in civil and criminal procedure, as well as international law in the United States, South America, Europe, and Africa. TV and radio stations frequently interview Nick as a legal expert. Among many other media outlets, Nick was interviewed live by Fox News National Radio (Nick’s interview aired on over 900 stations), America Tonight, the Jim Bohannon Show (over 200 stations), the Lars Larson Show, the Rusty Humphries Show, the Genesis Communication Network (over 700 stations), Washington Watch (over 200 stations), and the Jeff Crilley Show. In addition to national shows, Nick has appeared on local stations in all 50 states including Los Angeles, San Diego, Dallas, Orlando, Pittsburgh, Camden (OH), Lansing, and Detroit. Nick currently covers a federal public corruption trial for Channel 4, Fox News Dallas. Dr. Nick Oberheiden has a substantial record of achieving dismissal of whistleblower and qui tam cases in federal courts— across the United States. Nick has represented a plethora of corporate and individual clients in False Claims Act investigations involving the Department of Justice, the FBI, the Department of Health and Human Services, the Office of Inspector General, various Medicaid Fraud Control Units, the Department of Defense, the United States Environmental Protection Agency, and others. While doing so, Nick has avoided criminal liability for his clients in every single case. Here is a small selection of whistleblower defense cases with Nick’s involvement. United States v. Client. (Dismissed). Nick inherited this case from the biggest law firm in his client’s state of residence. At the time Nick got involved, his client, a nationally known rheumatologist, had already spent three years and hundreds of thousands of dollars defending against allegations of fraud and upcoding charges. If there ever is a fit for the famous expression of “he came, he saw, he conquered,” this case would be it. Nick discovered incredible flaws in the defense strategy and immediately recognized that the previous lawyers had only tried to persuade the client to admit fraud to get this whistleblower case off the docket. Even though the client had a settlement offer on the table which would have limited the client’s liability to pennies on the dollar (but still amount to a substantial penalty), Nick informed the government that he would reject the offer and would not advise his client to pay even $1. Instead, he actually listened to his client and appreciated how she absolutely stayed within the accepted standards of medicine. The result? The government dropped its intervention. Shortly thereafter, the relators voluntarily dismissed all of their claims and the presiding federal judge dismissed the entire case. Nick saved his client from entering a fraud settlement, possible malpractice claims, and having to disclose this case for the rest of her career. Obviously, Nick’s client was stunned, and her only regret was that she did not hire Nick earlier! Case dismissed! United States v. Client. (Dismissed). Nick and his team represented the alleged ringleader in a large pharmaceutical health care fraud case. Six defendants were accused in a massive civil fraud conspiracy to have conspired against the federal government and Medicare in particular. To be brief, Nick got the case against his client dismissed while the motions for dismissal of every other co-defendant were denied. More and more whistleblower complaints lack legal accuracy and are presented by lawyers with no experience when it comes to specific nuances of underlying laws, such as the complex health care regulations. While it is a tragedy that anyone can file a lawsuit and put good people and solid businesses in jeopardy, the best we could do for our client in this case was to expose the relators and their lawyers as unqualified and convince the presiding United States federal judge as quickly as possible to remove our client from the case. Mission accomplished. Case dismissed! United States v. Client (Dismissed). Nick’s client was notified by the U.S. Attorney’s Office that he was under federal fraud investigation. The government, by way of a qui tam investigation, alleged that the physician inappropriately referred patients between various entities owned or controlled by that physician. Under federal Stark Law, physicians must not refer certain designated health services (e.g. physical therapy, toxicology tests) to entities in which those physicians (or their immediate family members) have a financial interest. When Nick took on the case, the physician’s exposure included literally hundreds of millions of dollars, criminal tax fraud, criminal health care fraud, and criminal federal program fraud. Analyzing the case piece by piece, Nick quickly realized that this case was defensible, and he started doing so step by step. Nick first studied all the relevant facts and then made a total of seven presentations at the U.S. Attorney’s Office including and involving special agents from the FBI, the OIG, the IRS, and other federal law enforcement officials. Nick’s client ended up with zero criminal charges and liability. Case dismissed! United States v. Client (Dismissed). Nick and his team were asked to defend a toxicology laboratory against alleged Stark Law violations. The lab was partially physician owned and one concern of the government attorneys was that physicians would refer designated health services (DHS) to an entity in which these physicians or their immediate family members had a financial interest contrary to federal Stark Law restrictions. The investigation was prompted by a whistleblower case filed by a former employee with apparent significant internal company knowledge. The relator described the company and its owners in detail and she had volumes of records allegedly proving her case. When meeting with the client, it became quite obvious that the client, in full awareness of health care regulations, structured the laboratories and physician relationships adequately. A comprehensive analysis actually demonstrated that compliance measures were well above board with integrated compliance officers, policies, and ongoing monitoring. What this case turned out to be was a revengeful attack of a disgruntled employee. The U.S. Attorney’s Office agreed that the laboratory should not be subject to any fines or penalties and did not intervene into the case. Quickly thereafter, the relator withdrew her case and the presiding federal judge dismissed this qui tam. Case dismissed! United States v. Client (Dismissed). The U.S. Attorney’s Office, through the Department of Defense and the FBI, served a stack of subpoenas on two related toxicology laboratories investigating a series of alleged violations such as Medicare Fraud, Tricare Fraud, and illegal kickbacks. The government did disclose upfront that this case was a so-called parallel investigation, which means that the fraud investigation was both civil and criminal in nature. Given the dual character of the qui tam, Nick’s first priority was to make sure that there would be no criminal charges. Indeed, when Nick began an internal investigation of the client’s operations and policies, quite a bit of compliance backup was missing. However, there was also no indication of fraud, let alone criminal misconduct. The labs were partially physician-owned, and each physician was advised of the company’s compliance standards. The operational side was handled professionally. Looking further underneath the surface, the qui tam read like a classic revenge lawsuit written by a terminated executive. After an intense two-month investigation, Nick and his team were able to report to the government that of the few factual accuracies in the whistleblower complaint, any and all minor issues had long been resolved. Because the government’s review of responsive documents revealed a soundly operating health care business, the government agreed not to intervene resulting in the relator’s voluntary dismissal. Case dismissed! United States v. Client (Dismissed). The Office of Inspector General and the Department of Health and Human Services informed this toxicology laboratory of a government qui tam investigation for alleged Medicare Fraud. Shocked to see federal agents serving an OIG subpoena, the lab’s management hired Nick and his team to defend against federal fraud allegations. Nick started the representation with an internal audit of the company’s compliance standards and operations to identify potential regulatory weaknesses, in particular with respect to billing and coding policies. To Nick’s surprise, the laboratory explicitly excluded Medicare samples and had ample mechanisms in place to avoid any slippery slope federal billing issues. Next, Nick looked at reference laboratory relationships and realized that the Medicare fraud claims must have stemmed from the relationship the lab had with related and affiliated labs. When applying the same strict compliance requirements and scrutinizing these relationships, Nick worked closely with the government in an effort to end this probe as quickly as possible. Months of auditing of in excess of 100,000 claims did reveal a fractional error, but none that could be called systematic or deliberate. Presented with the findings, the government declined to intervene. The court dismissed this qui tam. Case dismissed! United States v. Client (Dismissed). Nick defended this nationally operating health care marketing company in a federal qui tam investigation and complaint. The relator, a disgruntled former employee, claimed to have inside knowledge of fraud and abuse at the company and illegal physician kickback relationships to doctors across the country. None of that turned out to be true. From the moment Nick’s client was served notice by way of a subpoena issued by the Office of Inspector General, Nick worked with the government agents and attorneys to find a quick resolution for his client. Case dismissed! United States v. Client (Dismissed). While the underlying complaint in this case was an alleged violation of federal Stark Laws, the relator’s true motive behind this action was to take revenge against the former employer. The case was styled as a False Claims Act complaining about millions of dollars of federal fraud and abuse. Nick took on the case recognizing right away that the relator’s attorney was merely using Wikipedia-type legal explanations of what the Stark Law is about—without any reference to concrete facts or specific instances of fraud in the present case. Nick’s approach was twofold. First, Nick convinced the government not to intervene by preparing a detailed analysis of federal health care laws and why they simply did not apply to his client’s situation. Two, Nick convinced relator’s lawyers to withdraw the complaint. Case dismissed! United States v. Client (Dismissed). This qui tam case was a good example that the expression “where there is smoke, there is fire” does not always hold true when it comes to bringing inefficient, unsubstantiated, and poorly written federal False Claims Act cases. The Justice Department and the Office of Inspector General investigated a national physician-owned laboratory for alleged violations of the Anti-Kickback Statute, Stark Law, Medicare and CMS rules, among others. The problem with this case was that there was no federal jurisdiction in the first place. All the alleged violations assumed billing of federal health care programs. Nick’s internal investigation, however, established that the laboratories did not even have the ability to bill, let alone receive, monies from CMS/Medicare. The government prosecutors agreed with the presented findings and filed a non-intervention notice. Quickly thereafter, the case got dismissed. Case dismissed! Clients from across the United States approach Dr. Nick Oberheiden to seek reliable advice and effective defense strategies when their freedom, their reputation, and their financial stability are jeopardized by federal law enforcement investigations. Nick has successfully navigated businesses, executives, physicians, psychologists, lawyers, politicians, accountants, as well as prosecutors and special agents against FBI, OIG, DEA, Homeland Security, IRS, SEC, EPA, U.S. Immigration and Customs Enforcement (ICE), Justice Department, State Department, Department of Health and Human Services, U.S. Border Patrol, U.S. Postal Inspection Service and many other types of federal criminal investigations, grand jury proceedings, and federal litigation matters. The vast majority of these cases resulted in no civil and no criminal liability outcomes for Nick’s clients. Grand Jury v. Client (No Charges). Nick was hired to represent a lawyer who was a declared target in a federal investment fraud and money laundering conspiracy. The case was investigated by the FBI, the SEC, the Justice Department and the U.S. Postal Inspection Service. After learning the context and the circumstances of the case from his client, Nick met with the Assistant United States Attorneys and FBI representatives from the Washington D.C. headquarters in an effort to avoid an indictment despite the late stage the case was already in. Fortunately, the government was willing to accept Nick’s idea of an attorney proffer and ultimately a debrief of his client. Well prepared and aware of the stakes, Nick was able to present his client as a genuine and credible witness rather than a criminal target. In fact, Nick’s preparation of his client was so profound and his client’s testimony so comprehensive that the government offered criminal immunity at the conclusion of the very first meeting. No criminal charges! Grand Jury v. Client (No Charges). Nick successfully defended a federal employee in a large federal bribery and public corruption investigation. Nick’s client was approached by FBI, IRS, and U.S. Marshall’s agents and declared a target of various federal felony charges. Years earlier, as the story evolved, this client operated in a group of business owners that used high-level public officials to secure sizable federal bids. While the odds were clearly against his client, Nick took the case with the confidence that he could avoid an indictment as long as the client would exactly follow Nick’s advice and strategy. Nick flew to Washington D.C. to meet with the decision-makers in a last-minute attempt to downgrade his client to a subject in exchange for providing information to the Justice Department. Hesitant at first, the lead prosecutor agreed to consider the option and communicated a list of expectations. Sure enough, Nick turned this investigation around and he zealously represented his client’s interest. No criminal charges! Grand Jury v. Client (No Charges). A New York surgeon approached Nick with “a big problem” on his hands. The FBI and OIG contacted the physician and served him a federal grand jury subpoena for his alleged involvement in a health care fraud conspiracy and kickback scheme. Professionals, like this physician, have two major fears in these types of cases: losing their license and losing their freedom. Aware of the potential exposure, Nick reached out to the Assistant United States Attorneys on the case to discuss the investigation and avenues to avoid an indictment against his client. A meeting at the U.S. Attorney’s Office between Nick and the prosecutors turned out to be productive. A deal was reached that Nick’s client would produce the requested documents including potentially incriminating checks but in exchange for cooperating with the FBI, the government would not charge Nick’s client. No criminal charges! Grand Jury v. Client (No Charges). Technically, it was impossible to avoid an indictment in this case. Nick’s client was alleged to be head over heels involved in a health care fraud conspiracy, to have misrepresented material information when interviewed by federal agents, and he had no obvious defense or explanation. Luckily, Nick found an exit strategy. In a series of meetings with the FBI and high-level federal prosecutors, Nick negotiated a resolution that would not involve criminal charges and no reporting of the physician to his medical board. Even though the first discussions were admittedly arduous, Nick broke the ice and hesitation of the government piece by piece, meeting by meeting, and ultimately obtained the good news. No criminal charges! Grand Jury v. Client (No Charges). In one of the most followed criminal investigations of recent time, Nick successfully defended the former business partner of the main target against federal bank fraud and tax fraud One day, Nick’s client found himself surrounded by FBI agents who served him a grand jury subpoena with the request to testify within three days. Unfortunately, before the client hired Nick, he volunteered information to law enforcement and to all major national news stations. When Nick took over the representation, the client and Nick formed a team to produce requested documents and to prepare for grand jury testimony while declining ongoing media requests. Because the information the government requested involved matters of national security, Nick entered into an agreement with the Justice Department to protect the information under a national security immunity theory. Even though the agents told Nick’s client initially that he was a target and needed to testify within three days, Nick made sure his client had enough time to produce the documents, did not have to testify, and did not end up being a target in a series of negotiations with the U.S. Attorney’s Office. No criminal charges! Grand Jury v. Client (No Charges). Owners of health care billing companies can quickly be exposed and become subject to grand jury investigations if they don’t carefully indemnify and protect themselves from the potential misconduct of their customers. Same here. Nick represented the owner of a home health care billing agency when several of her clients were raided, arrested, and indicted for Medicare fraud. The government informed Nick’s client that she herself was a criminal target and considered a co-conspirator for billing fraudulent claims. Assuring his client that there was hope, Nick went to the U.S. Attorney’s Office to demonstrate when and why owners of billing companies can get indicted—and why his client should not get indicted based on these comparable situations. Nick’s defense theory started to resonate with the AUSA after the second meeting and soon thereafter the government informed Nick that his client would not be prosecuted. No criminal charges! Grand Jury v. Client (No Charges). Nick’s client was under investigation for tax fraud and tax evasion. The IRS and FBI opened a case, approached Nick’s client for a (declined) interview request, and ultimately served a grand jury subpoena on her. When Nick reached out to the U.S. government attorneys, Nick realized that, even though his client was likely a target, a deal of non-prosecution could be achieved. Instead of producing any documents, Nick offered his client to the government subject to a proffer agreement. The strategy was to provide helpful information and to establish her as a credible witness. Even though there was the risk involved that the government could or would prosecute her regardless, Nick’s conviction was that the government would not prosecute her once they met his client and appreciated her explanation and the context she was able to provide for the big picture investigation. The plan worked out. The interview went very well, and the government never prosecuted Nick’s client, but many others in this case. No criminal charges! United States v. Client (FBI & DEA). Nick represented a New York medical doctor under investigation by the DEA and the FBI for allegedly prescribing unnecessary opioids. The physician contacted Nick first when several federal agents came to his office to serve various DEA subpoenas. The subpoenas required Nick’s client to produce patient charts; several of those patients, according to the DEA agents, had passed due to a prescription overdose while under the care of this doctor. This doctor was also told that the federal government is seeking the death penalty against the provider for proximately causing the patients’ death due to his allegedly irresponsible prescription practice. While the previous lawyer instructed Nick’s client to produce these files, Nick, instead, reached out to the supervising agent to discuss the investigation first and to seek an extension to have an opportunity to strategize with his client. In a series of meetings, Nick and his team were ultimately able to convince the DEA to withdraw its request and to not pursue the case any further. Nick’s client did not produce any patient records, was not charged, and he continues to practice medicine. No criminal charges! FBI Investigation v. Client (No Charges). The client hired Nick based on his public reviews and reputation, he said. The situation was severe. The government claimed to have surveillance, documents, checks, and witness testimony to affiliate Nick’s client to a massive health care fraud conspiracy. The case was handled by the FBI, the U.S. Justice Department, the Medicare Fraud Strike Force, and the local U.S. Attorney’s Office. If there is a good example that no case is hopeless, this one would be it. Nick turned every stone and spent a great deal of time with his client to learn about the case and to find out what (and who) exactly got him into this situation. Doing so allowed Nick to identify a promising defense theme that he then presented to the federal prosecutors in a series of meetings. No criminal charges! FBI Investigation v. Client (No Charges). The client, a cardiologist, was contacted by the FBI for his alleged involvement in a federal health care fraud conspiracy. When discussing the matter, Nick found that this case should not be criminal. He reached out to the government and requested a meeting to discuss the case. He left the meeting with the government’s promise not to criminally prosecute his client, but to possibly hold him civilly liable. After several nights with no sleep out of fear of losing his license and going to prison, Nick’s client was finally able to sleep again with the good news obtained from the U.S. Attorney’s Office. No criminal charges! FBI Investigation v. Client (No Charges). A prominent surgeon hired Nick after he was approached by two agents, one from the FBI and the other from the Department of Health and Human Services, Office of Inspector General. The agents told the doctor that he was under investigation for health care fraud and kickbacks and that he needed a lawyer. Sure enough, Nick contacted the agents and then requested a meeting with the supervising Assistant United States Attorney. There, Nick learned that his client received kickbacks for referrals. Knowing that physicians tend to participate in investments and joint-ventures offered to them by marketers without much thinking or analysis, Nick convinced the government to meet with his client under the protection of a proffer agreement. The plan worked out. Nick’s client, after 30 or so hours of preparation with Nick, made a formidable impression on the attending prosecutors and agents and persuaded everyone in the room that prosecuting him would be a wrong angle to the case. Nick laid the foundation for the option of non-prosecution, prepared his client, chose the right strategy, and he succeeded. No criminal charges! FBI Investigation v. Client (No Charges). The FBI and the U.S. Attorney’s Office declared a renowned physician a target of a federal criminal investigation. The government claimed to have evidence of various illegal kickback schemes that the physician was allegedly involved in. Threatened with “years of prison,” the doctor called Nick to seek help to avoid an indictment and jail. Even though the government is not required to respond, let alone to meet with defense attorneys prior to an indictment, Nick was able to convince the prosecutors that a meeting would be helpful for all parties to clarify an apparent misconception and to direct the investigation to other targets. After some weeks of deliberation, the government agreed to meet, first with Nick only, and then with Nick and his client, at the U.S. Attorney’s Office. Indeed, the client, well aware of what is at stake, together with Nick, prepared a comprehensive chronology of events, detailed documentation, and handed over all information of interest to the government. Apparently impressed with the preparation, the prosecutors offered full criminal immunity during only the second meeting. The client was never charged and continues to practice medicine. No criminal charges! FBI Investigation v. Client (No Charges). A physician was approached by an agent from the Office of Inspector General, panicked, and lied. Reading about the consequences of misrepresenting information to a federal agent under 18 U.S.C. 1001, the physician contacted Nick in the hope to “undo” the statement or to otherwise find a way not to get charged. When Nick spoke to the OIG agent, he learned that the FBI in a second federal district was already involved and that the case was referred to the U.S. Attorney’s Office. In one phone call, Nick convinced the AUSA to meet and to hear the “corrected” statement from his client in addition to other information under a proffer agreement. The extremely kind prosecutor and his team showed sympathy for the stress when an agent shows up unexpectedly and appreciated the testimony more than having an interest of prosecuting Nick’s client. No criminal charges! FBI Investigation v. Client (No Charges). Federal law makes it a crime to misrepresent material information when being interviewed by federal law enforcement, see 18 U.S.C. 1001. A business owner hired Nick when he found out that his volunteered information to the FBI was both imprudent and factually inaccurate. Because, as so often, the agents already knew that the answers to their questions were wrong based on their investigation, they informed the interviewee to also prosecute him for obstructing a federal investigation. Nick took on the matter and requested a meeting with the supervising Assistant United States Attorney. No criminal charges! FBI Investigation v. Client (No Charges). All odds were against Nick’s client. She was deeply entangled into a major tax fraud scheme and the federal government looked at her with an indictment in preparation. Nonetheless, Nick asked the government to hold off on charges and to give him a chance to discuss the matter with his client first. Buying important time, Nick then sat down with the FBI, the IRS, and government lawyers to explore ways of (ideally) avoiding an indictment. Knowing how valuable the client could be to law enforcement, Nick negotiated a non-prosecution agreement in exchange for the information the client had about the masterminds of the criminal conspiracy. Sure enough, the government was pleased to get a key witness and Nick’s client escaped criminal charges. No criminal charges! FBI Investigation v. Client (No Charges). With a chance of probably less than 1% of escaping an indictment, this client approached Nick after his house and offices were raided by 60 federal agents involving the FBI, the Office of Inspector General, and several other state and federal agencies. The client was accused of every fashion of health care fraud, from billing fraud to False Claims Act violations, to Medicare Fraud, to Medicaid Fraud, to fraud in violation of 18 U.S.C. 1347, money laundering, mail fraud, wire fraud, to name just a few. From the beginning, the government’s story just did not add up. Nick debriefed with his client after the raid and spent hours with his client and at the U.S. Attorney’s Office in an effort to get to the bottom of the story. The work of listening and believing a client paid off. Nick’s factual investigation established that, while his client may have a civil liability for submitting wrong claims, the wrongness and illegality of fake invoices was created by a third party. After months of hard defense work, the government finally admitted that they got the wrong guy and indicted the actual perpetrator. FBI Investigation v. Client (No Charges). A business owner sought Nick’s help after his place of business was visited by FBI agents. The initial conversation with the supervising AUSA suggested that the client provided IT and logistical assistance in what the government considered a federal money laundering conspiracy. Even though the government requested to interview the business owner, Nick respectfully declined and reinforced his defense strategy that his client had done nothing wrong. The prosecution went forward without charging Nick’s client. No criminal charges! FBI Investigation v. Client (No Charges). The owner of a large-scale national pharmacy heard rumors of an investigation orchestrated by the Office of Inspector General, the FBI, CMS, the Medicaid Fraud Control Unit, and various pharmacy boards. Nick and his team conducted a comprehensive internal investigation, compliance training, and installed a corporate compliance structure and staffing. By the time the government actually contacted the pharmacy for alleged health care fraud, the situation was cleaned up and all raised issues were resolved. No criminal charges! FBI Investigation v. Client (No Charges). A successful health care entrepreneur became a target of a criminal investigation involving mail fraud, wire fraud, and health care fraud. The FBI informed this business owner that he has been on the government’s radar for a while and that he would get indicted in the near future. The agents encouraged the business owner to volunteer for an interview at the U.S. Attorney’s Office to mitigate his criminal exposure. Nick took on the representation and told the government not to contact his client again without Nick’s knowledge. Sure enough, the client was never contacted again, never provided testimony, was never indicted, and he continues to operate successful, lawful businesses. No criminal charges! FBI Investigation v. Client (No Charges). The U.S. Attorney’s Office informed a medical provider that he would get indicted and offered his attorney a written plea agreement for signature. Desperate to save his license and his freedom, the physician changed lawyers to Nick and his team, who advised the client not to sign the plea. In a series of meetings with the Justice Department, piece by piece, Nick and his team were able to convince the government that the allegations were simply false and that his client could not knowingly sign an incorrect plea. Indeed, the government recognized the defense efforts, withdrew the plea, and discontinued the prosecution. No criminal charges! FBI Investigation v. Client (No Charges). In this joint FBI and DEA search warrant case, Nick’s client, a health care business owner, faced federal criminal charges for allegedly having violated the Controlled Substances Act as well as federal health care regulations. Nick and his team immediately got in front of the supervising federal prosecutor and presented a theory of prosecutorial misconduct and excessive interference for what, if at all, would constitute a small state law infraction. The U.S. Attorney’s Office discontinued its investigation and refrained from further action. No criminal charges! International War Crimes Prosecutions. Dr. Oberheiden assisted the Office of the Prosecutor of the United Nations at the International Criminal Tribunal for Ex-Yugoslavia (ICTY) in one of the key prosecutions against former top-level Yugoslavian and Serbian political, military, and secret service officials. International Extradition. Dr. Oberheiden successfully quashed an international extradition attempt. Nick’s client was wanted in the United States for crimes committed in India. The Indian government was in the process of preparing a formal extradition request to be filed in the United States District Court for the Northern District of Texas. Federal agents were in the process of securing an arrest warrant. Nick took the case and opened a dialogue with Indian and U.S. authorities first establishing that his client was not a flight risk and not a fugitive from justice—while also making clear that his client will not surrender to any extradition request. Meanwhile, Nick coordinated his efforts with local counsel in India to resolve the criminal charges. International Judicial Assistance. Nick Oberheiden successfully represented an international business owner in an investigation involving the U.S. Department of State and the U.S. Department of Justice, as well as several high-level constitutional and trial courts in Brazil. The federal government of Brazil sought U.S. authorities to assist under international comity and various Hague Conventions in the gathering of documentary and testimonial evidence from the client regarding crimes allegedly committed in Brazil. Fluent in Brazilian Portuguese and fully familiar with U.S. international law, Nick safely navigated his client through the maze of applicable laws covering U.S. federal law, New York state law, and Brazilian laws. Rejecting each and every request made by U.S. authorities on behalf of Brazil, Nick concluded the matter without making his client available and without any liability or legal consequences for his client. Foreign Criminal Assistance. Nick represented an international client located in the United States in a probe from the Washington D.C. FBI headquarters, the U.S. State Department, and the U.S. Attorney’s Office. The government investigated several foreign money transactions from and to Nick’s client involving countries adverse to the United States. Tax fraud, money laundering, and violations of several banking laws were the focus of the investigation. When debriefing with the client, Nick quickly noticed that the client did not do anything wrong but was nonetheless associated with international fraudsters when trying to do business abroad. Nick convinced the FBI in a series of visits that his client did not fulfill the role the government suspected him of executing and Nick reached an agreement with the FBI to end the investigation against Nick’s client. Nick’s client was never charged, and this was a good example of how effective an early intervention can be. International Custody. Nick successfully defended a Spanish national in an international custody case. The case, loaded with tensions and complicating factors, was a litmus test for the operational inefficiency of international conventions. Relying on the traditionally slow process and lack of enforceability, Nick advised his client to abandon proposed litigation plans (as they would unnecessarily have subjected Nick’s client to unfavorable foreign jurisdiction) and to protect the status quo, which was near to full custody. International Arbitrations. 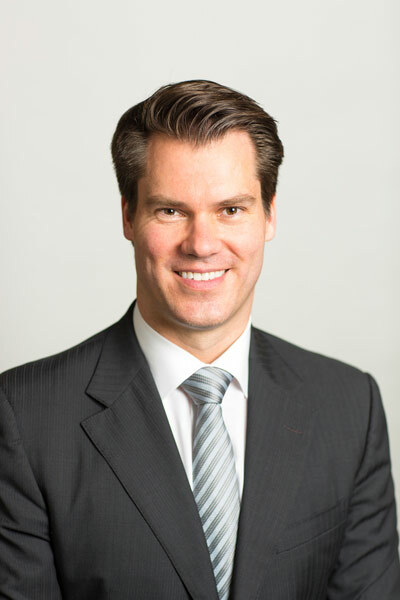 Nick assisted in countless international arbitration cases, typically representing foreign sovereign countries in major international investment disputes. Because of his language abilities, Nick frequently served as a liaison between various law offices around the world coordinating lawyers, working groups, and strategy approaches in a global network of lawyers. Nick has shared his international arbitration experience at various law schools on different continents. International Litigation Proceedings. Nick is well versed when it comes to cross-border litigation, the foundation of U.S. jurisdiction in global litigation, international service of process, and international taking of evidence, and related international treaties such as the New York Convention, the Hague Evidence Convention, the Hague Service Convention, the Hague Convention on International Child Abduction, and a plethora of bi-and multilateral investment and economic treaties. Nick has discussed many aspects of international litigation, both from a U.S. as well as a non-U.S. perspective, at universities in South Africa, Brazil, Germany, France, and others. Dr. Nick Oberheiden has represented individual and corporate clients in federal litigation matters in a great variety of circumstances and geographical locations within the U.S. federal court system. Often with attorney Elizabeth Stepp, Nick has defended clients in federal lawsuits (with not a single one resulting in monetary liability for his clients), discovery and deposition disputes, questions of domestic and international jurisdiction, and a plethora of other challenges. Nick is the author of “The U.S. Civil Justice System,” an extensive treatise on civil litigation in the Portuguese language. Dismissed. An armada of lawyers attempted to enforce a set of federal subpoenas against some of Nick’s corporate and individual clients. Even though Nick politely informed opposing lawyers of the unenforceability of these subpoenas in a conference call as well as in writing, Nick’s urge to withdraw the subpoena request was ignored and rejected. Forced to involve a federal magistrate judge, Nick meticulously researched, developed, and outlined his arguments for the court’s review and ruling. Without a hearing, the magistrate judge ruled entirely in favor of Nick’s clients and struck down all pending subpoenas. This de novo decision redefined the subpoena authorities of attorneys under Rule 45 Federal Rules of Civil Procedure. Dismissed. In this multiple district litigation spanning federal courts in Florida, Tennessee, and Texas, Nick was tasked to defend the same individual and corporate clients previously served with an unenforceable subpoena in yet another round of third-party discovery requests. While opposing counsel had fixed those errors that Nick identified previously to quash the subpoenas, the requests, in Nick’s opinion, still violated other sections of Rule 45 Federal Rules of Civil Procedure. Again, the judge sided with Nick’s arguments, this time, however, only partially yet substantially limiting the scope of the subpoenas to acceptable formats. Because many months had passed on these litigation matters, the requesting parties gave up and withdrew their own subpoenas. Dismissed. In an attempt to explore financial and trade secrets, one of Nick’s corporate business clients was served a federal subpoena through the Eastern District of Texas. Even though Nick informed opposing counsel of the unenforceability of the subpoena and respectfully encouraged the requesting party to withdraw their request for depositions and documents, the request was unreasonably maintained. Nick quashed the subpoena without a court hearing and never heard back from the requesting party or its attorney. Nick’s client was thrilled and relieved! Dismissed. Nick was approached by a health care executive who was just being served with a federal subpoena in an obvious effort to obtain confidential customer lists and access trade secrets—one day before scheduled deposition. In an overnight express fashion, Nick collected and organized case law and factual arguments to assist in this last- minute defense situation. Confident to succeed in court, Nick instructed his client to not show up for the deposition as he was filing a motion to quash. When conferencing on that motion with opposing counsel in the early morning hours the day of the deposition, the lawyers acknowledged the flaws in their motion and withdrew their request. Before they were able to correct and improve the subpoena, the overall case settled and Nick’s third- party litigant exited the litigation without being deposed and without producing a single document. Dismissed. Nick successfully defended various executives and companies against a high-level former manager’s claims of sexual and racial discrimination. Armed with company property and alleged evidence of fraud, harassment, and federal law violations committed by company and its owners, the employee expressed her goal to destroy the business and to seek several millions in compensation. To make it short, the plaintiff received zero dollars and the court granted Nick’s motion for summary judgment and dismissed plaintiff’s case. Dismissed. Successful defense of a physician in a multi-district, multi-state litigation. Nick’s client signed several promissory notes and sought Nick’s help to get out of her obligations in light of threatened litigation and her inability to pay. In an effort to mitigate his client’s exposure as much as possible regarding these fully enforceable non-compete clauses and financial promissory notes, Nick had to negotiate triangularly with lawyers in different states, pursuing different client interests and litigation objectives. Two months into it, Nick reached an agreement with all parties involved to forgive and waive all contractual obligations to agree to a full release—without his client being subjected to depositions, affidavits, or document productions. United States v. Client (Probation). In this health care fraud case, Nick convinced the government not to seek detention despite the fact that his client, a New York medical doctor, admitted to causing more than $ 1.5 million in damages to the United States government. With a punishment range from 0-20 years for the underlying offense and sizable damages, case law would have suggested at least several years of incarceration. In addition to avoiding jail time for his client, Nick also convinced the government not to request revocation of his client’s medical license. The Court accepted the plea conditions including the probation outcome and Nick’s client continues to practice medicine. United States v. Client (Probation). Nick inherited this Medicare Fraud case from another lawyer some years after the case first started. The client was charged with various forms of health care fraud under 18 U.S.C. 1347 and Medicare Fraud and he was looking at years of incarceration given the damage amount that the U.S. Attorney’s Office and the U.S. Probation Office attributed to the client’s misconduct. Before entering the sentencing hearing, Nick and his client agreed that anything less than 3 years of incarceration was a “good” outcome and that the chances for avoiding jail time were roughly at 5% or less. With this in mind, Nick nonetheless argued his client’s case in the hearing as if probation was the only logical and fair outcome in this case. Nick went into great detail explaining to the court how his client got involved into the matter, how he is distinguishable in character and actions from other defendants in similar situations, and why society would benefit from keeping Nick’s client out of jail—all culminating in a request for probation. Leaving the government lawyers and the audience in total shock, the presiding judge sided entirely with Nick and determined that probation was both “fair and sufficient” in this case. Like in a movie, when Nick left the courtroom, a group of family members and friends of Nick’s clients stood outside to applaud and cheer for Nick and his client. An absolutely rewarding and humbling event! United States v. Client (Probation). Federal law punishes computer crimes severely and there are very few cases across the country in which a defendant federally indicted for hacking and related computer crimes walks out of a courtroom without incarceration. Against these odds, Nick took on this defense case with a view to convincing the federal prosecutors and the FBI in charge of the indictment that probation would be a fair and appropriate outcome. Looking for ways to do so, Nick identified several promising factors in his client’s favor. No criminal history, attempts to pay back the damage created, his relatively young age, as well as the client’s unconditional cooperation all led to increasing sympathy on the government’s side to entertain the idea to not (greatly) oppose a request for probation at the sentencing hearing. The plan worked out! Taking these and many other arguments into consideration, the presiding federal judge ordered that probation would be appropriate even though incarceration was recommended by U.S. Probation. United States v. Client (Probation). It all started with a call for help. A physician accused of a plethora of kickbacks and health care fraud schemes reached out to Nick in the hope of achieving nothing but wonders. The FBI informed Nick’s client that he is looking at decades in prison for bribery and health care law violations in no less than eight (!!) different indictments. While such statements are not always true, in this case, the government was right. Technically, there was enormous exposure making a probationary outcome appear entirely unrealistic at first. Nonetheless, Nick looked for and identified avenues that would avoid jail time and license revocation. Presenting a well-prepared client to the Assistant United States Attorneys on the case, the government, encouraged by Nick, recognized the particular and unique circumstances of the fraud involvement as well as the benefit of making Nick’s client a government informant in exchange for almost total criminal immunity. Instead of a calculated 25 years (based on damage amount and other factors relevant for the federal Sentencing Guidelines), Nick obtained probation for his client. United States v. Client (Probation). Although not admitted to practice medicine in the United States, this foreign-trained doctor presented himself as a physician, made medical decisions, and caused medical bills to be submitted and paid by Medicare. When confronted by FBI investigators, the client denied any wrongdoing and continued practicing as a physician. When indicted, he first engaged a lawyer that was certain he would end up in federal prison. Sure enough, the doctor switched to Nick and his team to stay with his children and family members. While much work was done in negotiations with the government to mitigate the claimed damage amount, Nick’s client still faced several years of incarceration as recommended by the Federal Sentencing Guidelines. Nick’s client walked out of the courtroom as a free man being ordered to probation in total disregard to the sentencing recommendations and the request by the government. Ready to start a new life, Nick’s client left health care behind and continues to be with his family. United States v. Client (8 Yrs into 1 Year). In concrete numbers, Nick’s clients faced a minimum of eight years of incarceration when entering the sentencing hearing. Nick inherited the case after the client lost at trial with another lawyer and hired Nick to handle several post-conviction motions as well as the sentencing itself. Before an audience of approximately 200 people, friends, family members, and supporters, Nick presented his arguments to the judge as to why this case should be decided in complete departure and variance to the federal sentencing guidelines and the recommendations made by the U.S. Probation Office in the Pre-Sentencing Report (PSR). Nick described the bigger implications and the dimensions any sentence would have for his client well recognizing that his client was ineligible for probation as a matter of law. The determined damage amount reached close to $ 4m. Even to Nick’s own surprise, the court sympathized with the line of arguments Nick made and sentenced Nick’s client to the absolute minimum permissible by law in this case, which was one year and one day in a minimum-security facility.